يوفر فندق Quest Wellington Apartments ظروف إقامة راقية وهو خيار رائج للسياح ولرجال الأعمال أيضاً. يقع في منطقة مطاعم, تسوق, سياحة من المدينة. يحظى هذا الفندق ذو 4 نجمات بمكان ممتاز يسمح بالوصول إلى المعالم السياحية الأكبر في المدينة، فهو يبعد مسافة 1 km عن صخب المدينة. يشكل هذا الفندق ملاذاَ مريحاً للاسترخاء ويمنح زواره فرصة للاستجمام والتجدد، وهو يقع على بعد خطوات من المعالم السياحية الكثيرة للمدينة. 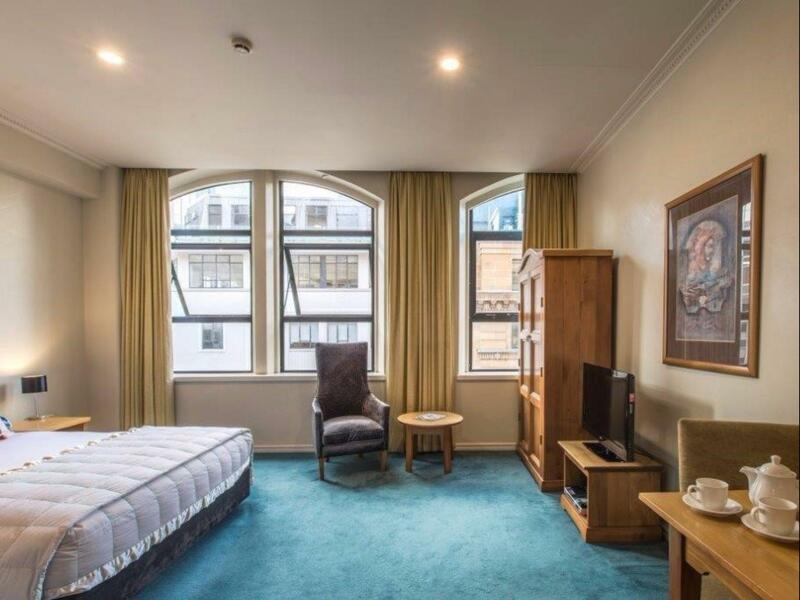 كما يقدم Quest Wellington Apartments الكثير من الخدمات لإغناء رحلتك في المدينة. يمكن الاستمتاع بمجموعة من الخدمات على أعلى المستويات في الفندق كمثل واي فاي مجاني في جميع الغرف, مكتب الاستقبال على مدار الساعة, تخزين الأمتعة, واي فاي في المناطق العامة, صف السيارات. لقد جهزت هذه الإقامة الفندقية بعناية فائقة لتوفر مستوى عالي من الراحة. في بعض الغرف يجد النزيل تلفزيون بشاشة مسطحة, اتصال لاسلكي بالإنترنت, اتصال لاسلكي بشبكة الإنترنت (مجاني), غرف لغير المدخنين, تدفئة. كما أن مجموعة الخدمات الواسعة الموجودة في الفندق لضمان راحتك تترك لك الكثير من الخيارات لقضاء وقتك أثناء فترة إقامتك. 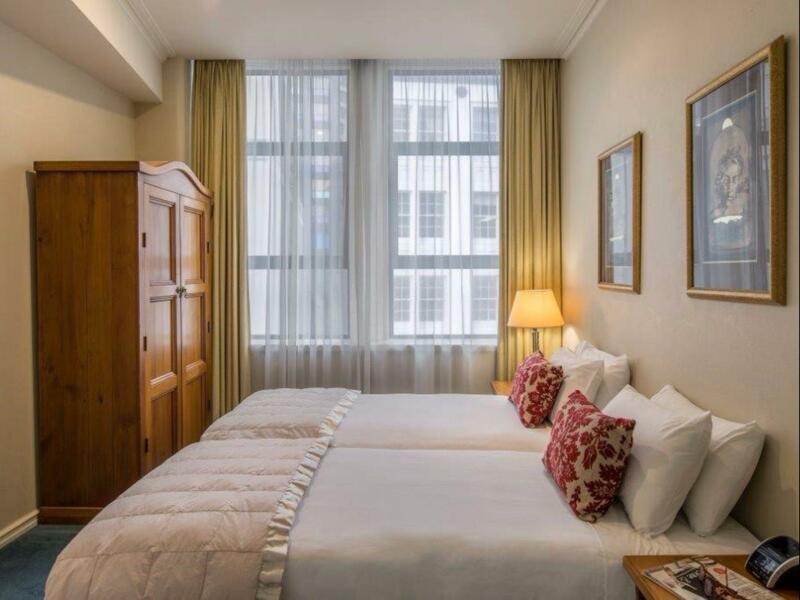 استمتع بخدمات لا يعلى عليها وعنوان ذو اعتبار في Quest Wellington Apartments . Enjoyed being so close to everything, and having a washer and dryer was a bonus. The few cracks in the tile could be overlooked because the building is older and to be expected. It does not hinder the comfort of the stay. Great staff, carried bags up 5 flights of stairs when lift broken. Reported dirty fridge twice but not cleaned within our stay. Room ok other than very damaged kitchenette area. All Wellington sightseeing things in walking distance. You will find everything you expect, all appliances working properly. Friendly and helpful staff. Extremely close to everything! Well appointed apartment, good wifi. The only downside was no servicing of rooms after Christmas Eve until the end of my stay on 28th December. Behind and underneath the bed had not seen a vacuum cleaner for some time, an accumulation of fluff and debris. Staff did not give advance notice re cessation of service during the Christmas period or tell me how to get fresh towels. hanks heaps i was only with you one night and it was great. I appreciated the kitchenette, which helped reduce meal costs. There was a market nearby, where we picked up breakfast items and snacks. We had a fridge, hotplate and microwave in the room, along with all the dishes and utensils needed. The separate 'living room' was very convenient to relax between forays and excursions around the city. OK hotel (interior is a little tired), very centrally located, good value for money. One of the lamps wasn't working, took 2 days to get the bulb replaced. No cleaning service on Sat & Sunday. My prior experience with Quest in another city was good so I booked this place for an overnight stay. Location was perfect for exploring the city centre. It is next to the streets but it gets quiet towards the evening. However one of the tenants had some visitors of big loud crowd who were coming in and out of the unit next to mine at varied times between 10 and 2AM. I called the night duty manager to have it checked (at 11PM) as the general rule is to minimise noise by 9PM. No action done. In the morning I asked about any event on the same level and I was told that some of the units are rented long-term or owned and they cannot impose specific rules to those tenants. Other than that, room was spacious, bed is comfortable and you have your basics if you want to heat up some food or even cook a quick meal. It may have been a wrong timing but it is something to consider. Great place to stay central to city and attractions staff friendly and helpful every thing you could ask for in an apartment. So many restraints in close proximity would definitely return. Noisy from outside traffic,and have stayed before in a nicer apartment. Unable to check in and unload bags due to limited drop off. Very stressful as accident material. Not good!!! Location was superb for attending a function at Telstra Clear Centre. Very handy to central city. Staff were pleasant and helpful. I have given a 1 rating for the food component of your survey above as there was none - no dining facility. The room smelled fusty and although spacious there were several maintenance issues which I noted on the feedback sheet provided, e.g. missing light bulbs in bathroom and main room, missing hinge on fridge cupboard requiring the door to be lifted and dragged across the floor. This was obviously an issue of longstanding as the floor was marked from many drags. No electric blanket though the bed was very comfortable. Heater on-light flickered constantly - a bit concerning. Attention to maintenance details and smell would make this a much more pleasant place to stay. 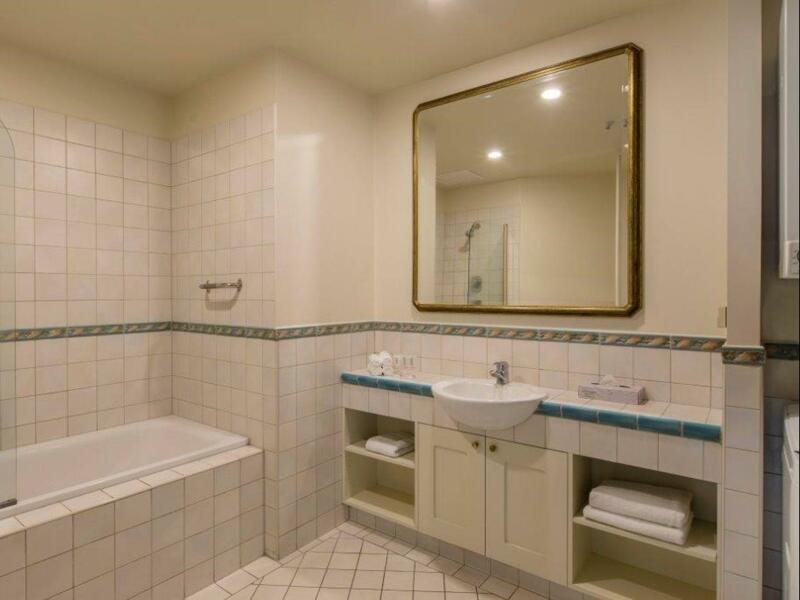 The hotel is in a very convenient location within walking distance of many attractions. The room was clean and very spacious. The only problem we had was that there is no on-site parking and no one at reception to help us when we checked in. Reasonable accommodation in a good location. Staff were great, hotel itself is a bit tired (and smelly hallways). It's not a 4 star hotel. Location walking distance to major attractions. High ceiling rooms with good amount of space. Bathroom size. Stayed on Level one. Easter Friday had no room service. So first walked into bathroom toilet appears to have been overlooked by cleaners from previous day so ended up having to clean it myself with brush store bought. Not ideal. However, my experience of staying there weighs out that particular incident. Location couldnt be more convenient. Bus stops right around the corner and walk by foot to nearby attractions Cable Car, wellington sea museum and Te Papa. My room quite large with a bit of space around. Loved the large windows with that city feel to it as you look out. 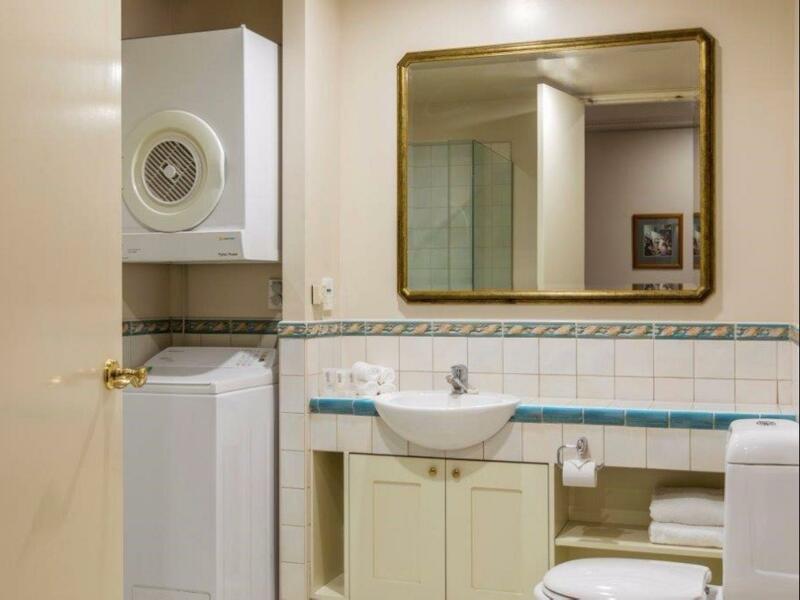 Bathroom modern with washer and dryer very handy for families or long stays. Apartments have everything you need from iron to washing machine. Bathroom towels not suitable for the average or plus size person. Enjoyed the selection of teas and coffee on offer. Linen used was super comfortable - theres nothing better then coming back after long day and getting tucked into fine cotton sheets. Bed suits me as i prefer firm rather then super soft. Not to mention receptionist was super helpful and allowed for me to leave bag after i checked out so i can explore the city more confortably. Making my overall stay convenient, hassle free and pleasant. Bringing my family next time.